The Clear choice for Calcium deficiency disease in crops. CalPhusion mimics the plants natural uptake of Calcium and Phosphorous from the soil. The majority of soil phosphorous exist as Calcium Phosphate a strong compound which is the very same substance that our tooth enamel is made of. This highly insoluble compound has to have its bond broken thus dissociation has to take place in order for the plant to take up ionic Phosphorous. 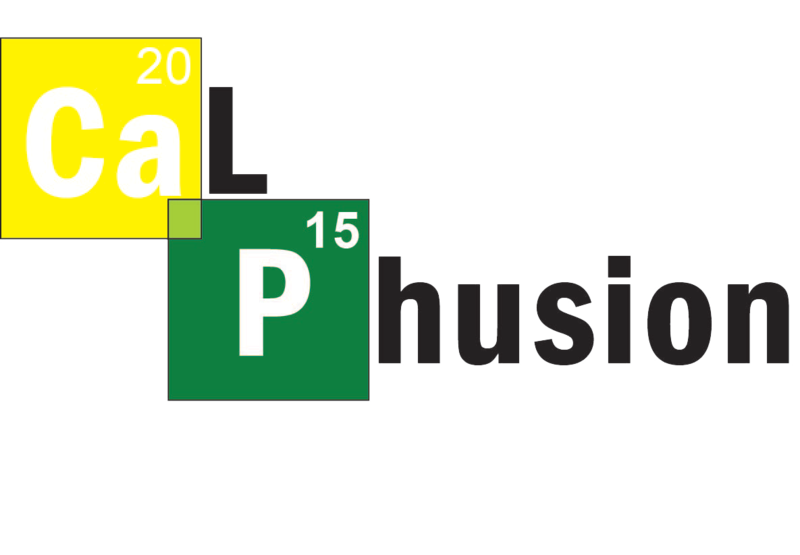 At this time the Phosphorous is now plant available and the now ionic Calcium is also available. The plant will take up Calcium and Phosphorous simultaneously giving the plant the energy to move the upward only Calcium ion up the plant due to the energy supplied by Phosphorous. The same synergy of simultaneous Calcium Phosphorous that is required for bones to grow is just as critical for the formation of plant roots, cell, flowers and fruit. Until now we have not been able to mimic the plants natural way it takes in Calcium and Phosphorous applying both elements separately expecting the same results. Just as is scientifically proven in bone development where bones can not grow with separate inputs of these elements due to the energy sourse provided by Phosphorous the same is true in plants. 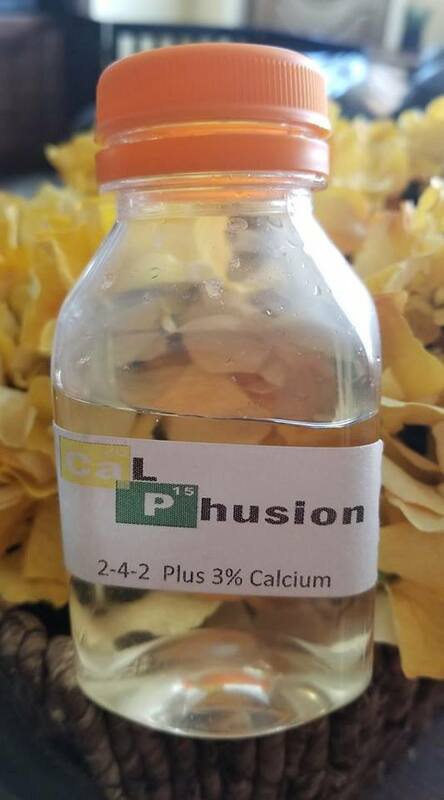 Now thanks to CalPhusion we can reproduce uptake just nature does. Calcium deficiency disease can now be a thing of the past.